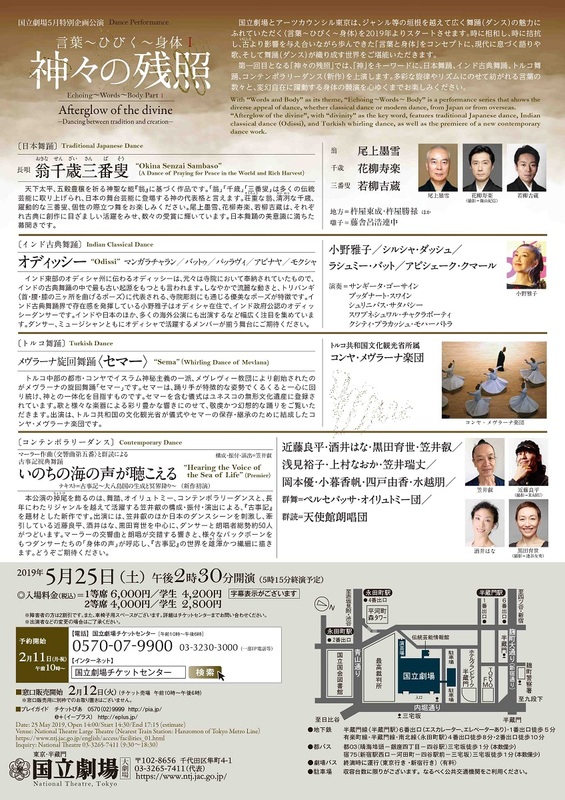 Performance Time: 2:30 p.m. - 5:30 p.m.
With “Words and Body” as its theme, “Echoing～Words～Body” is a performance series that shows the diverse appeal of dance, whether classical dance or modern dance, from Japan or from overseas. 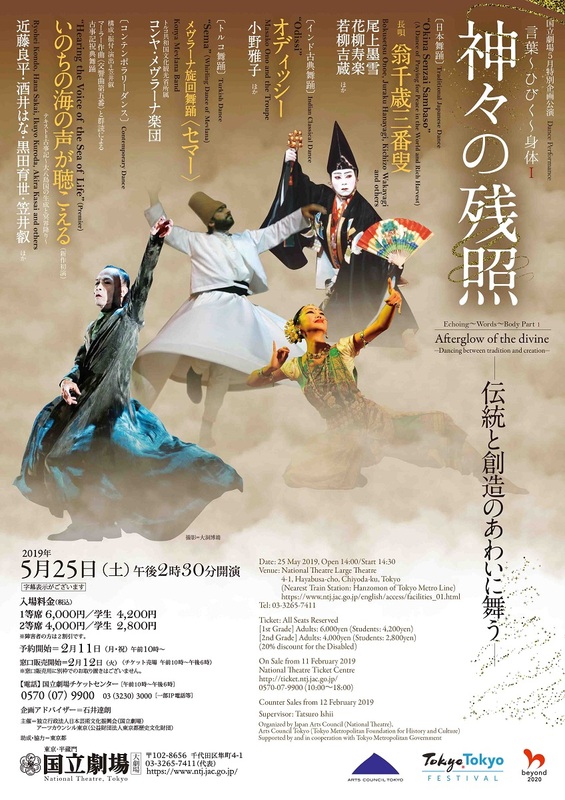 “Afterglow of the divine”, with “divinty” as the key word, features traditional Japanese dance, Indian classical dance (Odissi), and Turkish whirling dance, as well as the premiere of a new contemporary dance work. *Audio guide: No audio guide available.